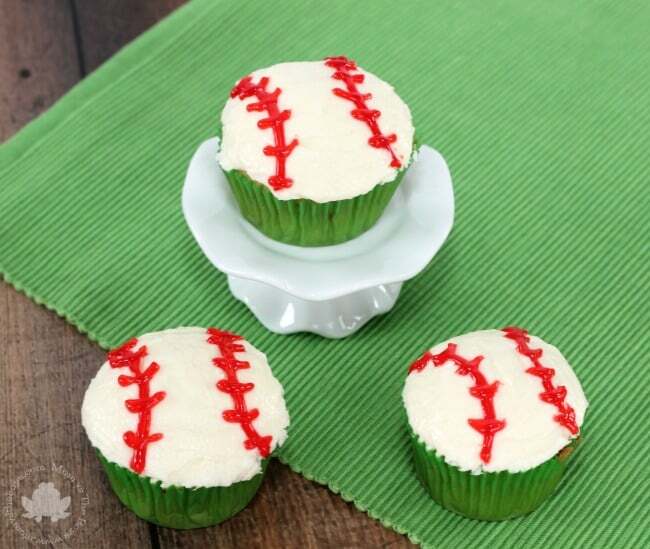 These Baseball Cupcakes are a Home Run! 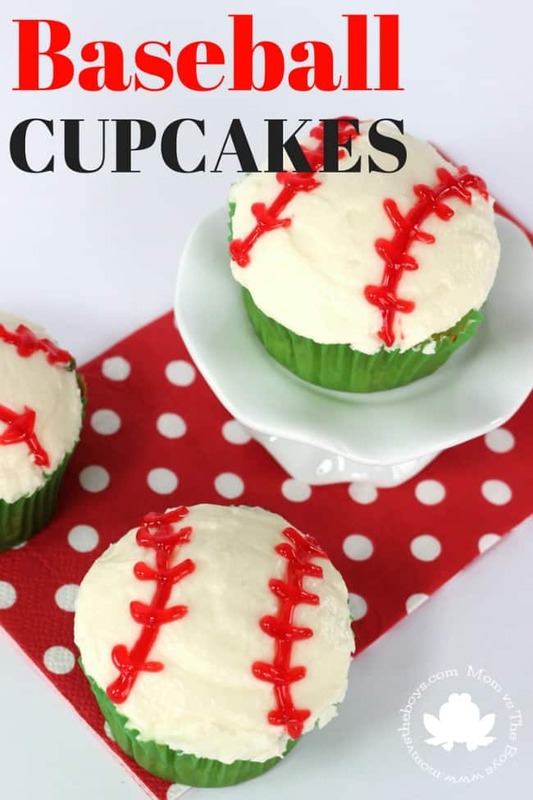 Celebrate the start of baseball season with these quick and easy Baseball Cupcakes! Whether you just enjoy playing catch in the backyard, watching your favourite team on the t.v. (Go Blue Jays!) or play competitively, Baseball Cupcakes are always a home run! 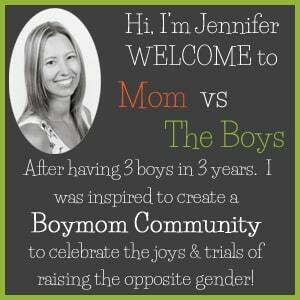 They make a great addition to sports themed birthday parties and even baby showers! You can use any flavour of cupcake you like, I made rainbow chip for these ones from a boxed cake mix. 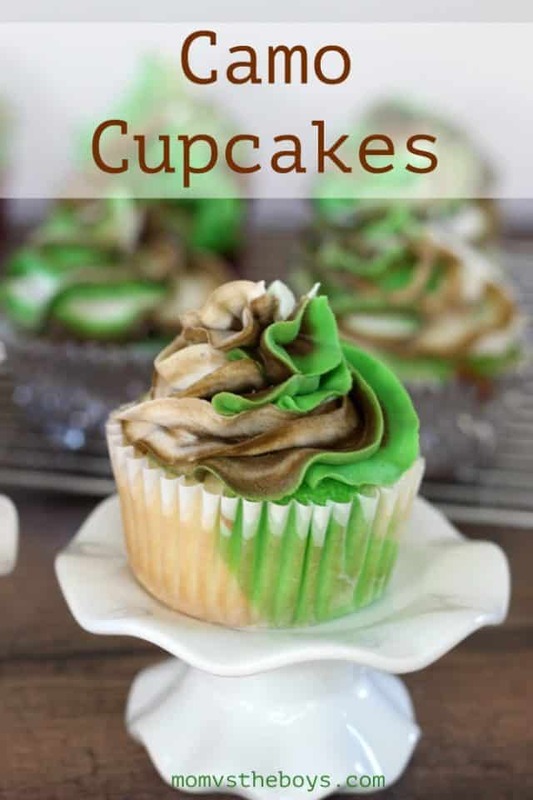 For cupcake liners I choose a plain green because I had them on hand and thought they went well, almost like grass. Baseball themed cupcake wrappers would be great too, especially if you are celebrating a birthday party or baby shower. Using a spatula spread the white icing all over the top of the cupcake to create almost a smooth dome shape. TIP: To smooth icing, wet a paper towel and wring out any excess water. Place the damp paper towel on top of the icing and lightly smooth it out with our fingertips. Pull off the paper towel, you may see some pattern go onto the icing from your paper towel, I actually left it this way because I thought they looked similar to the texture of a real ball! Prepare the piping bag and tip with the red icing. If using the store bought gel icing, try to cut a nice small tip hole. TIP: To get those even curved lines on either side, use the rim of a small drinking glass and gently press into the icing to create a guide for you to pipe on. Now use the red icing and pipe a line following the indent you created with the drinking glass. Next pipe the stitching lines with the red icing, and your baseball cupcakes are done! 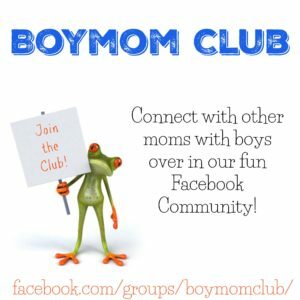 A baseball themed baby shower would be a big hit for a new boymom! Check out these Printable Baseball Themed Baby Shower Gift Tags/Announcement Cards/Invites. I made those cupcakes for the kids on Friday they were gone in no time! That’s great to hear Kathy, glad they loved them! These are so cute! I wasn’t expecting the soccer ones… but if I could find those chocolates I’d do them, too! Thank you! the Blue Jays logo is quite tricky isn’t it? I love these cupcakes especially with it being summer and baseball season.